Pour the syrup into a 10-ounce glass and add the ice cubes. Slowly add the sparkling water. Stir and serve. With minimum effort, you can make this flavorful stevia-sweetened syrup to have on hand whenever you’re in the mood for a refreshing glass of sparkling ginger ale. Bring the water to a boil in a small saucepan. Add the ginger and stevia, reduce the heat to low, and simmer gently for 8 to 10 minutes. Covered and refrigerated, this syrup will keep for several days. Have to agree with Zigo – the vanilla ruins this recipe. We also threw out a whole batch and started over, using another recipe with no vanilla or lemon extract. A little lemongrass boiled with the ginger, and a slice of fresh lime with the finished soda, made a much better ginger ale! I’d love to make some Elderflower Cordial using Stevia as the hedgerows are full of the beautiful fragrant flowers. Is it possible and do you have a recipe? Any resemblance between this and ginger ale is purely accidental. What’s with the vanilla???? If I had left out the vanilla, I would probably have a perfectly good ginger ale. As it is, I tossed the whole batch after going to a lot of trouble to make it!!! 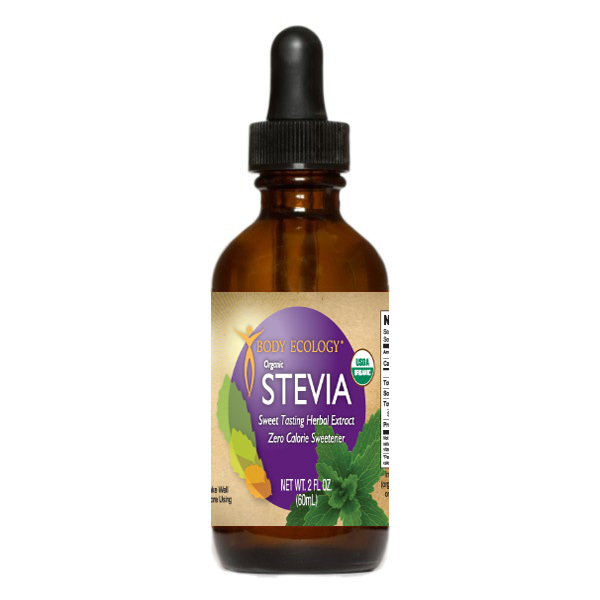 Can I exchange the ginger powder for the fresh piece of ginger, and could I use a sweetner Truvia, which is made from stevia? If so, how much of each?